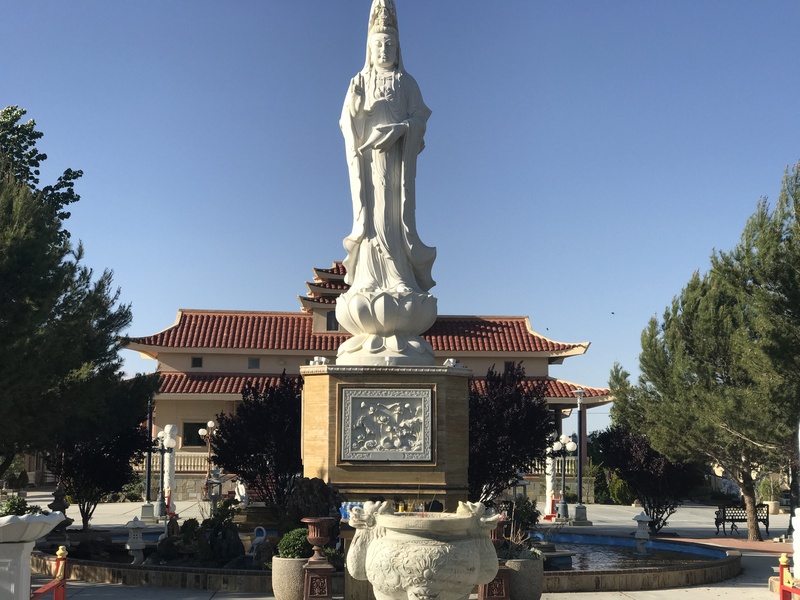 Every day, the Thien Vien Chan Nguyen Buddhist Meditation Center allows the public, regardless of religious faith, to come and visit the monastery. This past weekend Thein Vien Chan Nguyen Buddhist Meditation Center offered a vegetarian meal to members of the community. People of all faiths are welcomed to come an enjoy a complimentary meal with the members of the monastery. Everyone eats at the same time in a community style. If you choose to attend you need be respectful and stay for the entire event. The event runs Sunday starting with preparation at noon, and the meal is served promptly at 1 p.m. until 3 p.m. The Thien Vien Chan Nguyen Buddhist Meditation Center is considered a monastery and not a Buddhist Temple. “The reason is that temples you come and visit, then you leave,” said monk Kevin White. “Monks live on the premises which makes this a monastery,” said another monk Robert Smith. Just like the name expresses, this Buddhism is “pure” and strict form of Buddhism, which is geared more toward Buddhists from Asian countries. “People come here [for us monks] to teach them [how to deal with] their lifestyle and time [management],” said monk Kevin White. Many visitors do not understand the teaching of Buddhism, but potential Buddhist followers can accept their religion and follow the teachings. For example, “Buddhist followers do not have to be vegetarian or meditate unless they want to be a monk,” said monk Robert Smith. Living as a Buddhist monk is a very difficult life for some because of the rules they follow. The monks will be straightforward and concise with you. For example, visitors need to dress appropriately. Monks have to obey many rules such as their clothing. However, in certain circumstances they can if they are not receiving enough donations. If you are donating to a group of monks you are supposed to place them inside the donation box which would be enough for everyone. If you want to donate to one monk you have to present the donation off the premises, unless you plan on donating the same item to every monk on the premises. The monastery is there to serve the community and what the community needs.